The short answer is yes. In my opinion every business needs a business plan. It doesn’t have to be long and complicated, but it needs to exist in a written form. It’s not good enough to have a half formed idea, you need to get it written down. Clemson University entrepreneurship professor William B. Gartner points out, that with a business plan “You’re two and a half times more likely to get into business,that’s powerful.” Why else would you want a business plan? Let’s take a look. 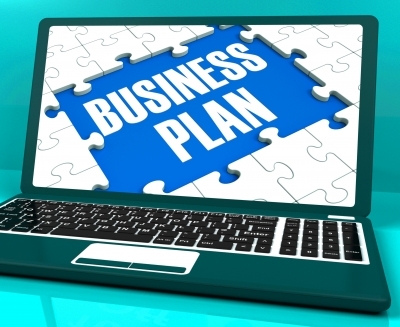 A business plan is a road map for your success. It shows strengths, weaknesses and the potential for your business to do well. This is especially important if there are multiple people involved with the business. How do you know your partners idea of success is the same as yours? How can you tell if you all are moving in the same direction. The business plan gives you focus and clarity. It shows you where you want to go and gives a path to get there. Just remember, with business, detours are the rule rather than the exception so be ready for them. If you are looking for any kind of funding you must have a business plan. I recommend being conservative with your numbers if funding is a goal of your plan. The people loaning out money have been around the block a few times and will know if your calculations are realistic of not. I have helped many businesses that thought they had billion dollar ideas, but the entire market they were entering was barely a tenth of that. Keep the end reader in mind. Would you loan money based off unrealistic numbers? You really can’t go into business if you don’t know the market. Who is going to buy? Why are they buying from you? How do you stack up to your competitors? These questions are essential and a business plan helps bring them out and sets you up for success. Over the next few days i am going to guide you through a business plan. The traditional plan is good for most businesses and is what you want when you plan to get financing.